Hiring a nanny is a process. It involves searching, interviewing, screening and extending an offer of employment to the right nanny candidate. 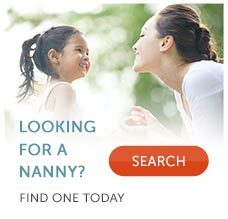 Once you’ve decided on a nanny you wish to hire, conducting a background check in the next critical step. When extending an offer of employment to your nanny candidate, it should be contingent on the outcome of the background check. See our helpful video by Dr. Lindsay Heller on nanny screening. What Should Your Nanny Background Check Include? It's hard to imagine that in this era of the Internet there is no reliable national criminal database for nanny background checks that is accessible by the public. Therefore the "gold standard" for nanny background checks involves several specific checks. The first check is to verify a candidate’s identity and address history through a Social Security Number check. The Social Security Number check will ensure that the name and Social Security Number match and provide a list of current and past addresses for the nanny. This important check is done so that a decision can be made on which county court records should be searched. The next step is to run a national database check. The national database we use has over 300,000,000 records in it from all states. While this check should not be used as a standalone tool, because the databases can be outdated and the type of information held can vary from state to state, it is a good tool to use in combination with other checks. After these first two checks are complete, a county search is conducted. County checks should be conducted in counties where the nanny has lived over a reasonable period of time, generally seven years. Which Counties Should a Nanny Background Check Include? Obviously, the most comprehensive method for performing county checks would be to check all counties. However, doing so would be quite costly. You wish to hire a nanny who has left home to go to college, changed schools once and then moved again after graduation. So let's say she's 23 now and there are five years of searchable history since she was 18. In this case, since the nanny turned 18 at home and moved shortly thereafter, the duration of time spent at her home residence and the city she moved to after graduation is brief. For someone who wanted to be conservative in their screening costs, the two locations an employer may wish to check would be the two cities she lived in from 2001-2005. Again, if you want to be absolutely comprehensive and cost is a nonissue, you would perform county checks for each location that appears on the Social Security address check. Keep in mind that the Social Security Number address information is pulled from credit records, so the information may not be complete and fully accurate. During your screening, you’ll want to compare the addresses listed on the Social Security Number address list to what she listed on her nanny application. If there are discrepancies, you’ll want to ask your nanny why. What other types of checks can be performed? How do we perform the check? To be compliant with the Fair Credit Reporting Act, a release to perform a background check must be secured. With eNannySource, that release is secured through our Secure Authorization Form that is sent to your prospective nanny via email. This eliminates the need for a written, hand-signed form. With eNannySource, ordering a background check is a simple and streamlined process. What are the limitations of the nanny background checks? When it comes to nanny background checks, there are no guarantees that the information is current, up to date or completely accurate. This is because there can be lag time in the recording of data and updating of systems. Because different states handle data differently and because people are involved, mistakes can be made. Background checks are just one of the important tools that should be used in the nanny screening process. It is the parents’ obligation to learn as much information about their potential hire as possible so that they can make an informed and educated hiring decision.